Home › Energy-Efficient LED Lighting › Quickdraw Diy Self Marking 25' Foot Tape Measure - 1St Measuring Tape With A ..
Quickdraw Diy Self Marking 25' Foot Tape Measure - 1St Measuring Tape With A .. 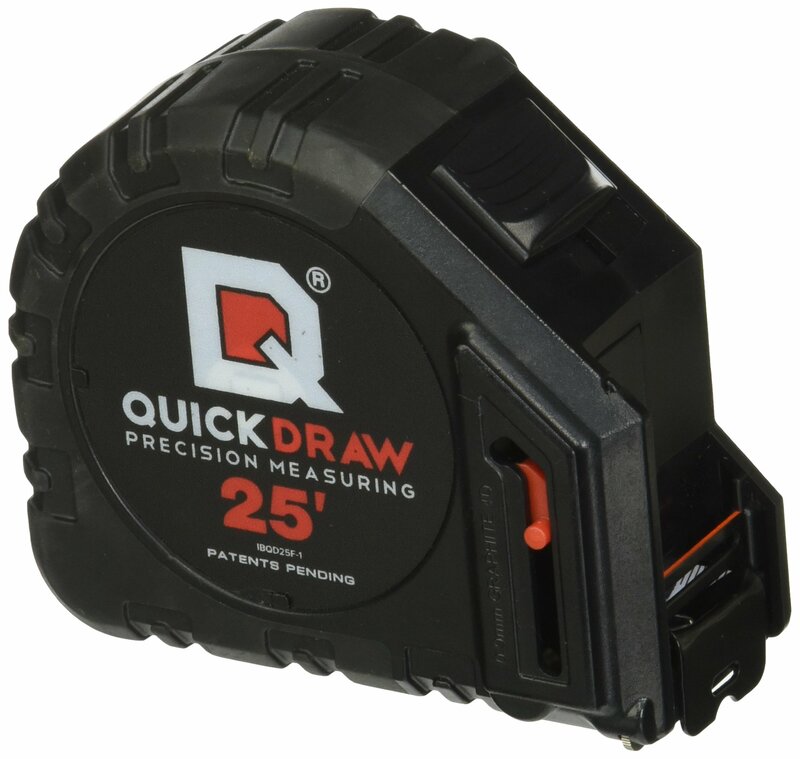 BUILT IN PENCIL: QuickDraw is the first Tape Measure with a built in graphite dispensing wheel. EASY & ACCURATE: Quickly make your mark, with pinpoint accuracy, never lifting a pencil again! RUGGED NYLON COATING: Offering 9+ feet of standout, extra durability and a strong recoil every time. MONEY BACK GUARANTEE: We offer a 30 Day Money Back Guarantee, NO. QUESTIONS. ASKED.